We have become a popular go-to sign shop for churches in Central Florida. This is because we provide high-quality solutions that do not break the bank. 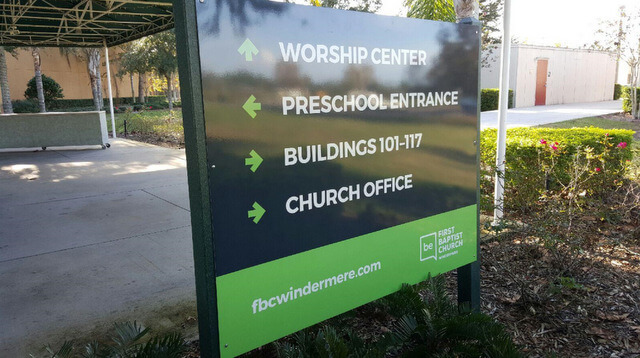 We got to work with First Baptist Church Windermere to help them with their new rebrand in Windermere, Florida. What Is First Baptist Church Windermere? 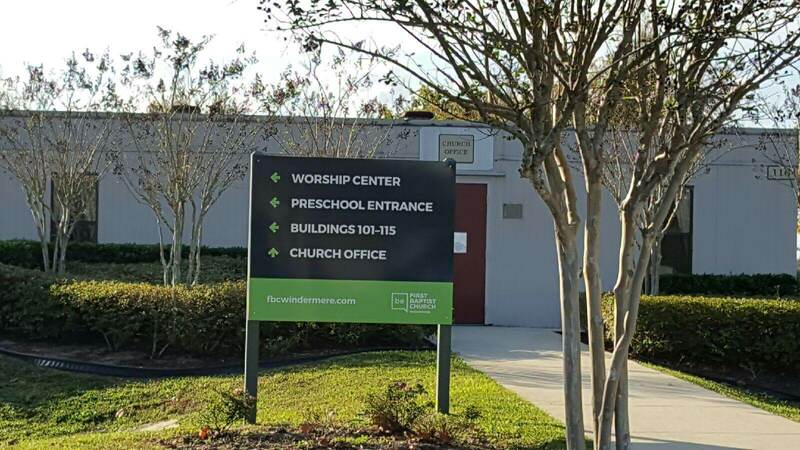 With locations on Main Street in Windermere and Winter Garden Vineland Road in Orlando, First Baptist Church Windermere is a very popular faith community in Central Florida. Their new motto is “be the church.” This perfectly captures their core values of believing in Jesus; belonging to a church where people can grow, serve, and worship; becoming more devoted followers; and going beyond the walls of the church to enhance the lives of people throughout the world. When an organization that does so much for our community and beyond came to us for brand building signs for churches in Windermere, FL, we were happy to have the chance to lend assistance. 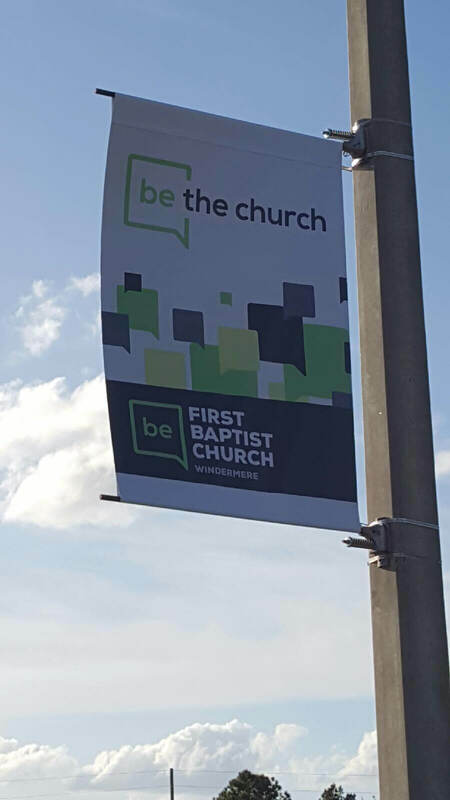 At the start of the year, First Baptist was going through a massive rebrand for both of their campuses. Fortunately, we have plenty of experience helping with rebranding projects. New Pole Banners – The pole banners feature the new logo along with various information, such as their website address and the “believe. belong. become. beyond.” slogan. We printed these off on top-quality vinyl using our large format digital printer. New Wayfinding Signs – For the wayfinding signs, we used post and panel systems. The panel is made of aluminum composite with vinyl graphics. These show the way to various buildings on their campuses. New Bowflag Signs – Bowflags do an excellent job of catching eyes when there is a breeze or as cars whiz by. 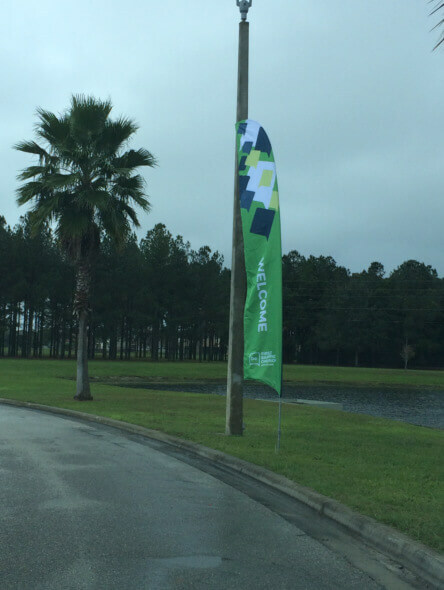 First Baptist now invites visitors in with their uniquely branded bowflag. New Guest Parking Signs – For the guest parking signs, we used aluminum composite again and applied vinyl graphics to the face. We then mounted the signs on simple composite resin poles. 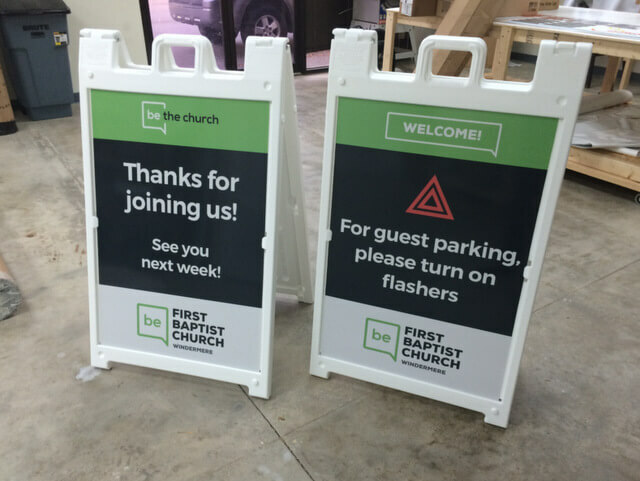 New Directional Signs – For directional purposes, we supplied First Baptist with A-frame sidewalk signs that are easy to transport and can be updated whenever they wish. We printed out messages with their logo. 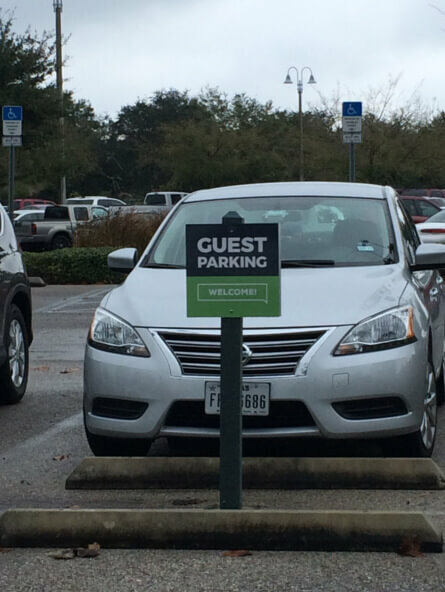 We also provided them with coroplast signs pointing the way to guest parking. 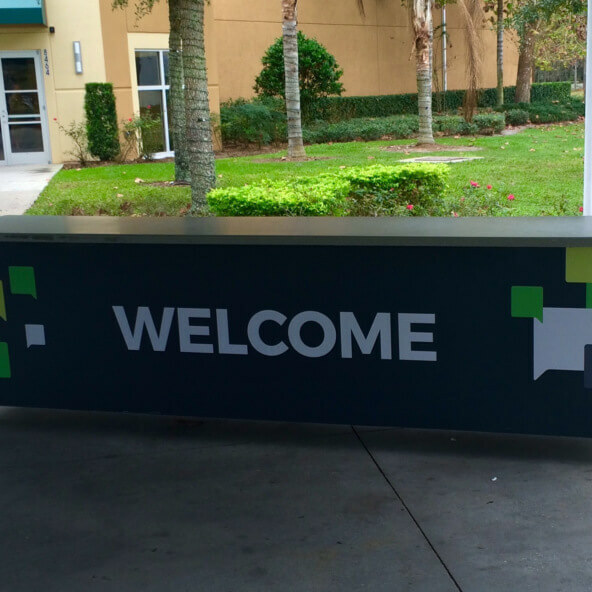 In addition to the above signs, we applied giant “Welcome” graphics to a greeter table. With all of these new markers, First Baptist Church Windermere is boosting awareness for their new brand and letting newcomers know they are welcome. In the end, they were completely satisfied with the work we did. If you are in the process of rebranding, contact the experts at Citrus Sign Studio for help with updating all of your signage. For a free consultation, call our friendly professionals today.